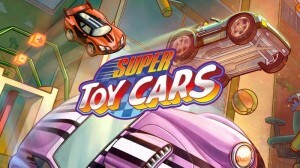 Plenty of variety, and local multiplayer provides fun for the whole family. The graphics leave a lot to be desired, and controls can be overly loose. 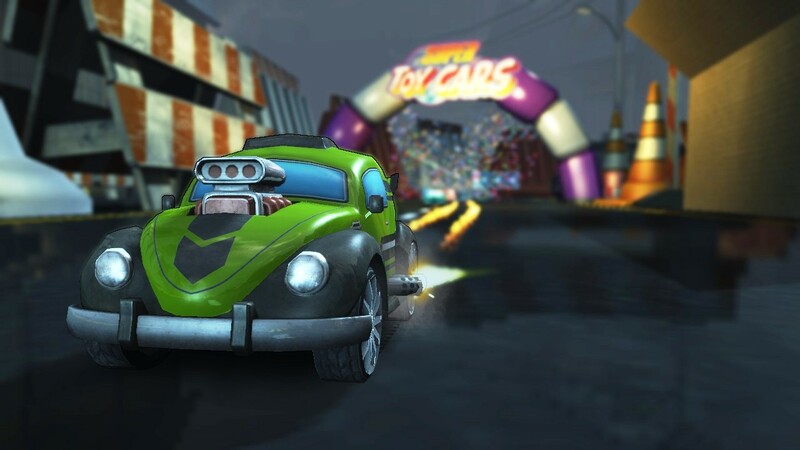 Super Toy Cars found its way onto the Wii U eShop marketplace at a rough time: Nintendo and Mario Kart 8 was kind of the way to go if you wanted to play a racing game. 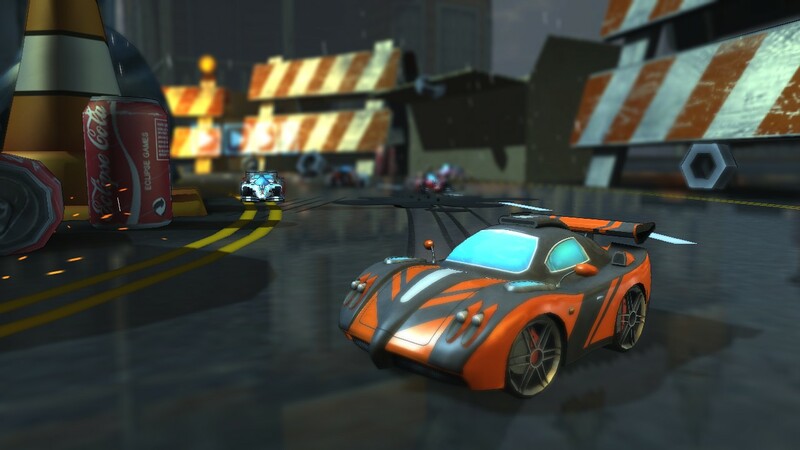 But if your choice is to buy a full retail disc, clog your minimal memory with a huge digital download, or pay eight bucks for a little slice of racing, then maybe STC hit a sweet spot. 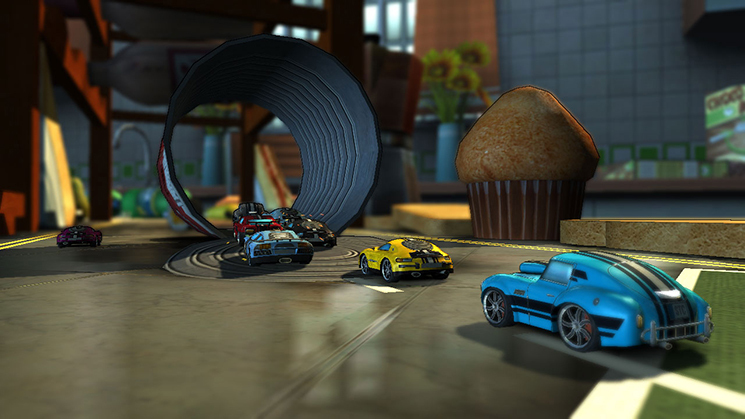 This game harkens back to the days of Micro Machines. Every level feels like it was hand crafted by a bunch of kids who propped their toys up and are sliding their favorite vehicles around the racetrack. Sometimes this becomes an issue: a point where two wall pieces come together looks like an easy shortcut, when in fact you’ll find yourself hitting a wall. While the graphics themselves leave a lot to be desired, the game play can be rather fun. There are quite a few fun game modes, and the car variety actually seems to make a difference. While there is a traditional race/cup mode, there are many a side game mode that will be worth coming back for. The mode that caught my family the most, though, was the level editor mode. I had this game loaded up to review when my Minecraft loving eight year old son walked in the room. He asked to play, so I let him. Before too long, he found the wonderfully gamepad-centric intuitive level editor, and that’s where he tends to spend most of his time. Even though there’s no real way to share your levels with others, the joy of creation and near-instant exploration was a thrill for him. My son just loved going through and creating stunt tracks: even if they weren’t fun for a race, he’d throw a bunch of obstacles on the playing field and jump in instantly to cruise around and see what would happen. While controls are loose from time to time and strange invisible walls bar off some seemingly obvious shortcuts, the game still has an essence of fun to it. Cars are varied enough to provide a challenge, and the local multiplayer allows the whole family to get in on the act. My son is proud to show off his custom designed tracks, which allow a level of education and learning I’m not sure the original developers would have ever intended. 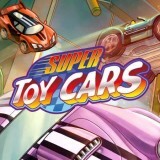 Plus, at $7.99 with a file size that won’t kill your Wii U, it’s an easy pick up for a fun family evening.